After clearing CMOS by taking taking the battery out, swapping the jumper and putting it back my bios does this. There is is a secondary jumper cap near a label that that says REC_BIOS instead of CLR_CMOS, but can't find documentation for either. It looks like it has 4 different places to put it. @ is where it currently is on the far right. Pressing CTRL+HOME makes the computer beep continuously. Could I just download a bios from HP for this motherboard and do that? The motherboard is an Angelica2 in in a HP h8-1240 Desktop. Also once it reaches this menu. The keyboard no longer sends anything. The numlock key won't turn on or off if I press the number lock button. This is what happens when SATA devices are plugged in or not. There are no USB devices plugged in. When I plug in keyboard same thing happens. ESC is supposed to list a menu to select the things that F8 or F10 do. They all do this instead. To get it to do this I have to press press the button before the text in the other image loads. 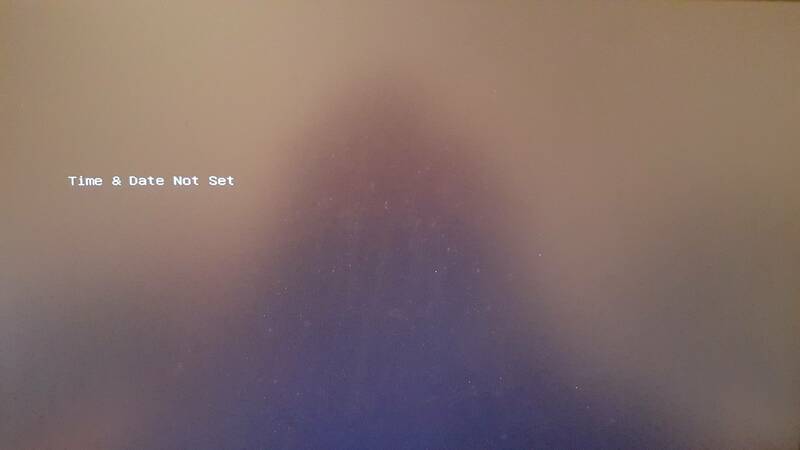 2) After that, try press the F10 key during the PC boot, if you can boot into the BIOS, then you have to set the date and time first, also make sure the boot order too. then save and exit. 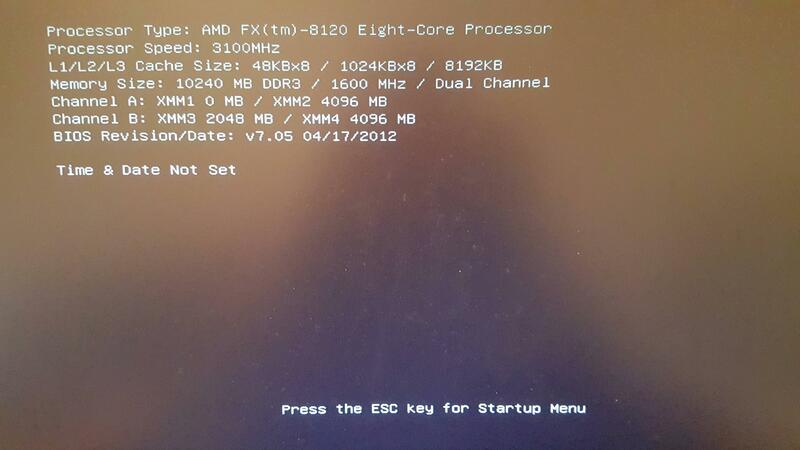 If you can't boot into the BIOS, may try buy other CMOS battery. Or go to local PC shop ask for help. I'll try clearing the CMOS with the jumper pins again and I'll see if I can get it to boot. Otherwise I saw on another forum that I can use another PC and extract the data from the HP executable and try to update it. Resetting the jumper always clears the BIOS because it says default settings loaded, but it still refuses to go into a menu. I did notice that it was still responding to the keyboard before it realized that time and date weren't set. Probably gonna try a new battery tomorrow.